in your grocers chilled section. 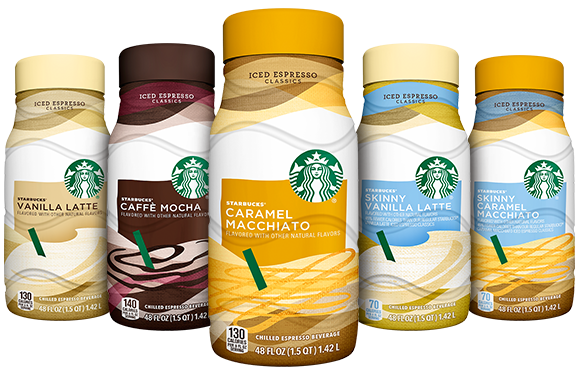 We’ve crafted a signature blend of Starbucks espresso and your favorite flavors for at-home enjoyment. 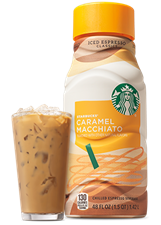 Find Vanilla Latte, Caffe Mocha and Caramel Macchiato in the chilled section of your grocery store. 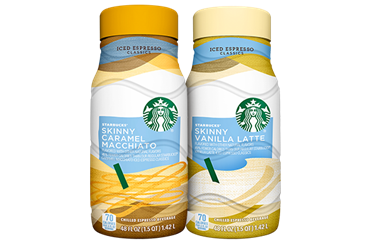 Enjoy the indulgent treat of Skinny Caramel Macchiato and Vanilla Latte flavors blended with Starbucks espresso and made with nonfat milk and no added sugar. Find these crafted beverages in the chilled section of your grocery store. 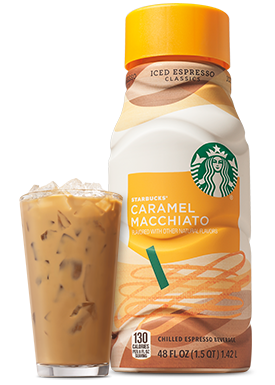 Sweeten your day with Starbucks® Iced Espresso Classics. 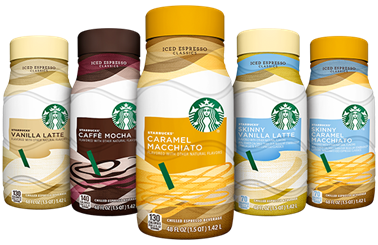 your favorite flavors for at-home enjoyment. chilled section of your grocery store. 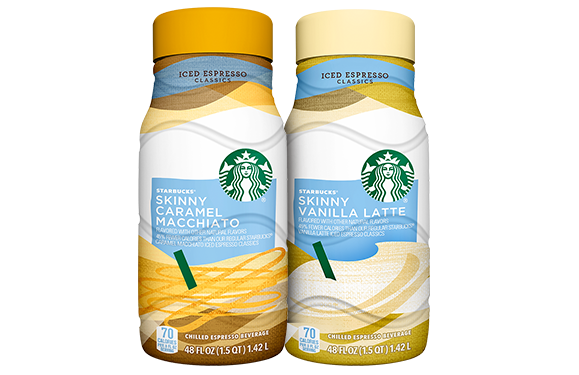 blended with Starbucks espresso and made with nonfat milk and no added sugar.  Find these crafted beverages in the chilled section of your grocery store.